Let me introduce myself first: hi! I’m Riccardo Alessandro Migliorini, you probably know me from some social media pages like facebook or instagram (@rclxmg), and Linkedin where I often post moments from my daily life. I love photography and travelling, and I have collected many posts ever since I started my instagram profile, back in March 2012. The evolution of technology has given us a powerful tool to stay in touch everyday, whether it’s through instastories or posts, and allows us to share many of our interests and information about every aspect of our lives with easy and fast access apps; I’m really intrigued as to what this evolution of communication technology can bring in the future! As you might be able to tell, I love social media. I work on this field for Sempione50 Medicina Estetica and social media marketing, while I study dentistry at the University of Milan and collaborate in the dentistry clinic Studio Dentistico Ponte Nuovo 10. Before deciding to study dentistry, I was studying engineering at Polimi in Milan, but quickly I realized that that wasn’t the right path for me. I decided to make this big change in my life and I successfully entered for dentistry in Milan. Now that you got to know my background a bit more, I will tell you about my passion for sports, gym, and natural bodybuilding. Throughout my life I’ve practiced many sports some of which are fencing, skating, swimming, skiing, tennis, football, handball, basketball, badminton, baseball, volley, bmx, hokey on field and on grass, karting, rugby, water ski, snowboard, table tennis, crossfit, scuba diving in apnea, and of course gym training as you can see through my Ig Posts. My mother is Greek so during summer I still practice waterski, scuba diving and swimming in Greece, and during winter I sometimes go for alpine ski and tennis. Fun fact: tennis is the sport I’ve practiced for the longest time; I started at 6 y/o and stopped at 19 y/o, and managed to reach the agonistic level in ClubTennisMonza. When I was 13 and was skiing on the Alpes, I fell and broke my left humerus on the cranial 1/3, which made me take a big fright of skiing. I never tried skiing again for a long time, and rehabilitation also lasted for a long time. After nearly 5 months with an almost full torso plaster, the left arm was significantly smaller than the right one and became atrofic, so I slowly recovered over the years, but still kept feeling some pain in the area. I’ve always been good in fast-powerful sprinting sports instead of endurance ones, I was exceptionally good in tennis, table-tennis, handball, karting and powerlifting. It became a clear sign that my skeletal muscles are mainly composed of White fast fibers IIb/FF or IIa/FR and only of a low % by Red slow contracting fibers I/ST. Hence a good indication that anyone can do to find out which muscle fiber types their body is mainly composed of, is by analyzing which sports (explosive or endurance) they and their parents excel at. This will then allow them to train in the most effective way. My journey in natural bodybuilding started a long time ago. The first time I entered a gym I was 16 y/o (in 2005), and trained for around 3 years. I was totally bored and without any motivation, surrounded by below average trainers, and standardized programs with no nutrition and no supplement claims. This 3-years-training was pointless work that didn’t allow me to train properly or motivate me to go for the results and passion that gym requires. By September 2009 I became frustrated dedicating so much of my time, money, and effort in the gym for nothing. I decided to change gym and have a new trainer, but the personal trainers that had higher ratings were paid hourly and I couldn’t afford that. I quickly realised that I had to do all the work by myself. I started educating myself by reading books, blogs, articles, watching youtube videos about training and how to perform the exercises correctly to target the desired muscles effectively. I even started following famous athlete pages to get ideas and tips on how to improve. I also started experimenting with many supplements, and to this day I know and understand which ones really work and which are just useless marketing products. Along using those, I also experimented with many diets and macro cycling, to get closer to my final goal. After 16 months and huge amounts of consistent effort at the gym + diet/lean eating + cardio sessions Hiit and Liss and supplements, I went from 78 kgs fat and untrained to 63 kgs totally ripped and healthy. My muscle mass wasn’t big but my bodyfat (BF) percentage became approximately 5%. Since then I’ve always trained a minimum of 3 days a week to a maximum of 6 days a week. I have gained muscle mass, density and have improved my technique and strength at exercises. I reached my current ideal body weight of around 73 kgs, and it took me 7 years to build 10 kgs of lean muscle. To me this is natural bodybuilding: being consistent and keep improving. During the past 2-3 years I’ve had more and more friends asking me for advice on training and supplementation, because they saw how I changed my body radically over the years, without using illegal or dangerous substances. I gave them some important pieces of advice and tips but they weren’t holistic enough to help them achieve their goals properly. I’ve spent so much time to do all of this by myself, because there wasn’t a worthy enough trainer: someone who’s not a generic hall instructor that gave basic useless training programs, and not a super expensive personal trainer that students can’t afford. I realized that there was a need of a new professional figure in the fitness universe: an experienced and expert athlete and coach, to give boys and girls, men and women, the correct information about training + “nutrition” + supplementation, and last but not least, to keep them motivated and interested throughout their fitness journey, with an affordable price range and a personal tailor made job that everyone needs to achieve their goals. I got a personal trainer certification (level 4) supported by Aics-Coni and Ereps for european personal training. 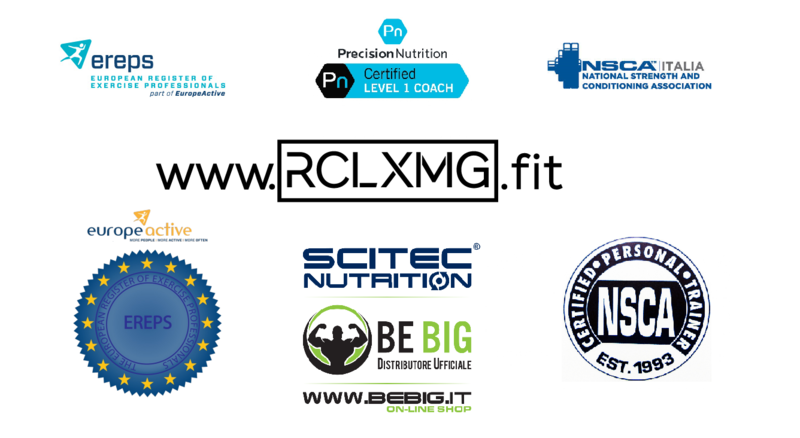 It has already been a few years that I have been coaching clients online, who are from Europe, but mostly from Italy. My coaching relies on safe and smart training, with the goal to evolve and improve year after year. My clients trust me and my vision to forge their bodies, respecting natural classic beauty canons, and giving -especially girls- toned and feminine bodies, and guys athletic and aesthetically pleasing bodies, of which they are proud and confident in, wherever they might be: gym, beach, etc., without disproportionately big and ugly muscle masses. Their lives have changed, as they feel a lot more confident and healthy in their skin… and let me just tell you they look classy when suited up!